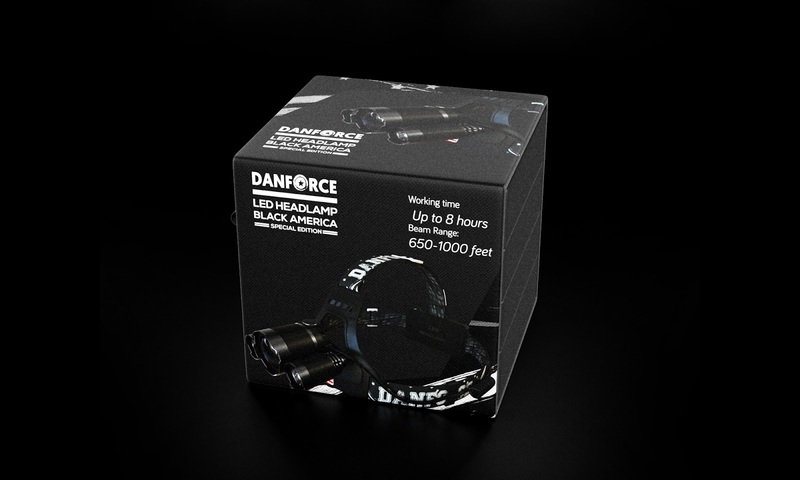 Danforce products are built with durability in mind for every design, and the packaging are not different. 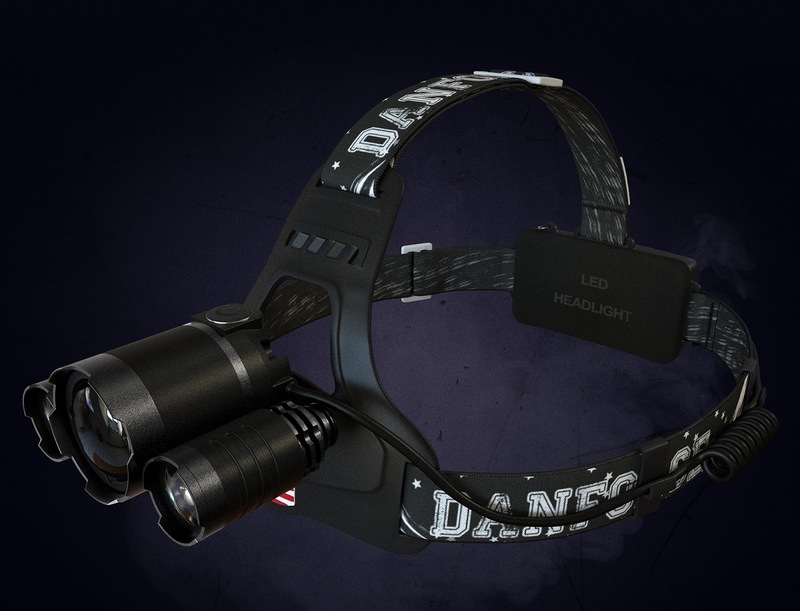 The brand introduces his brightest headlamp, with 3 Extremely High-Performance LED bulbs delivering 6000 Lumens beam that will make sure you see way beyond anything you can find in a typical retail environment. 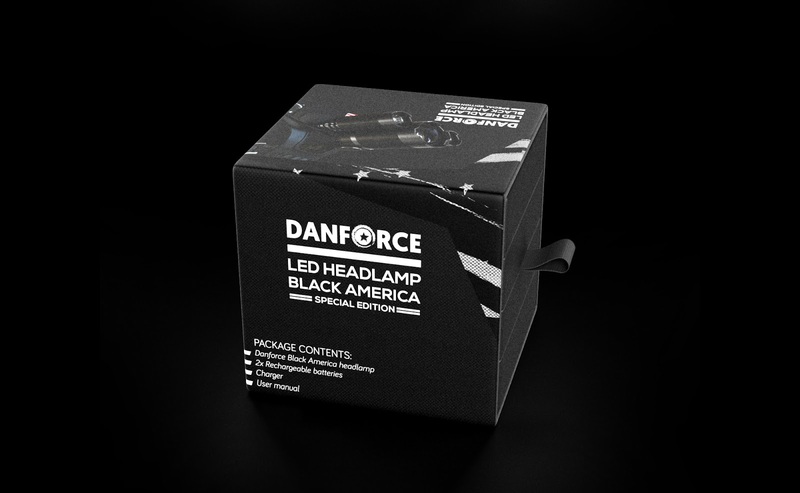 The packaging was created following the product theme, Black America. 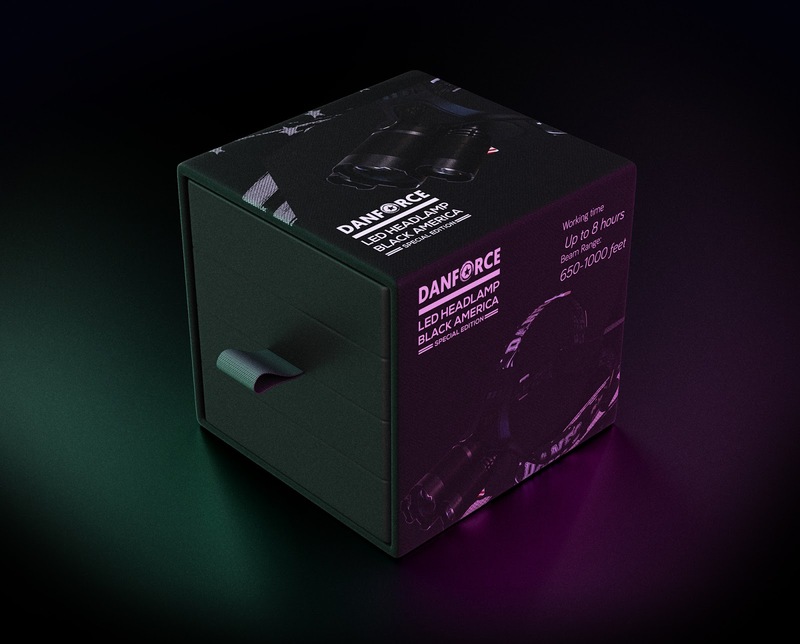 The material chosen was a high density cardboard paper with offset printing and matte lamination, providing high durability and protection needed during transportation, besides providing a good feel to the touch, the offset printing perfectly transmits the premium standard of the product. 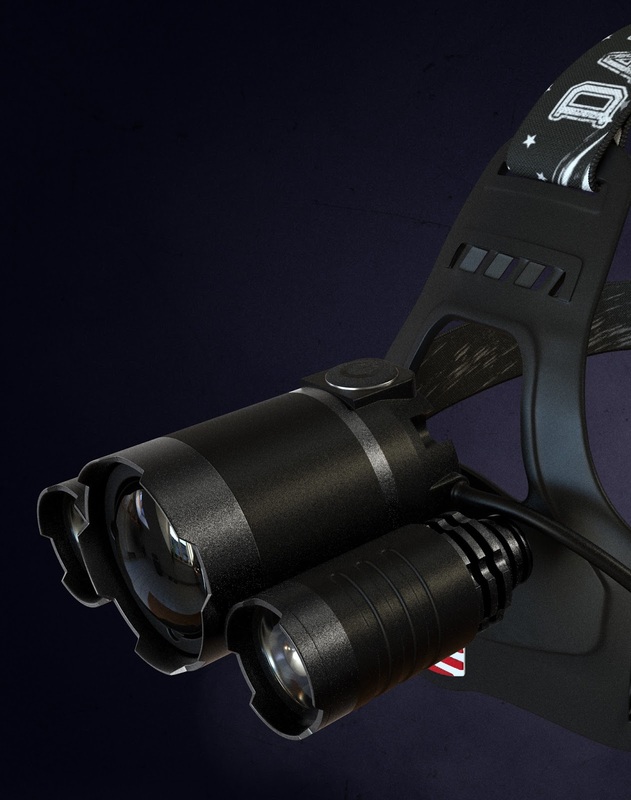 The product was modeled in 3D, textured and rendered in Foundry MODO 10.2, scenes were illuminated only with HDRI Light. 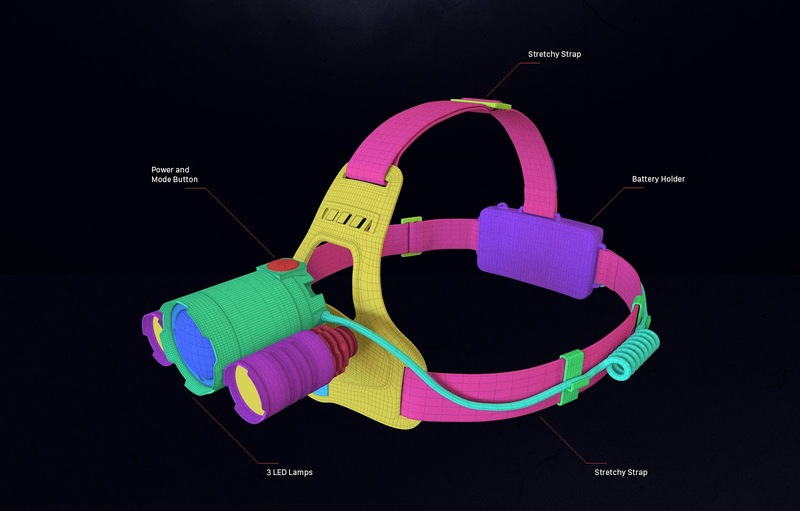 All images were rendered at 4.000x4.000px using RebusFarm's processing infrastructure. Each image took an average of 8 minutes to render, with Alpha and SurfaceID outputs enabled. 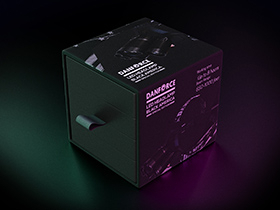 The packaging was created in Adobe Photoshop and later exported to Adobe Illustrator where it was embedded in the diecut and then finished for printing and assembly. 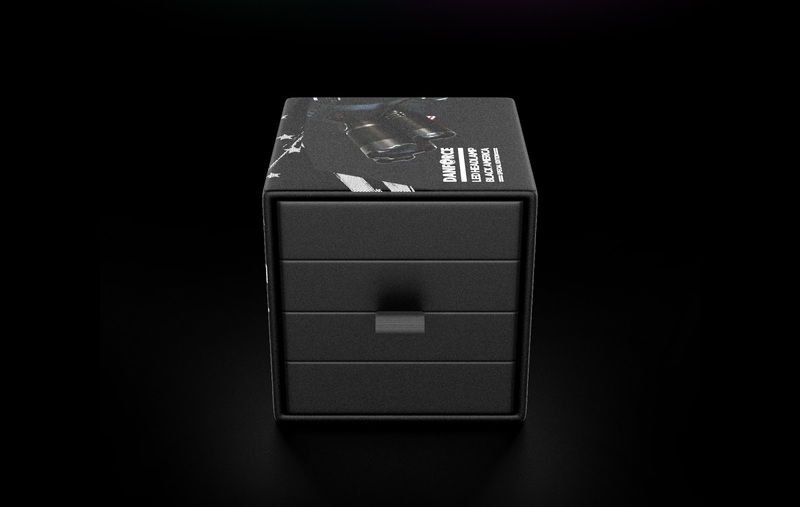 The packaging was also modeled and rendered in Foundry MODO 10.2. 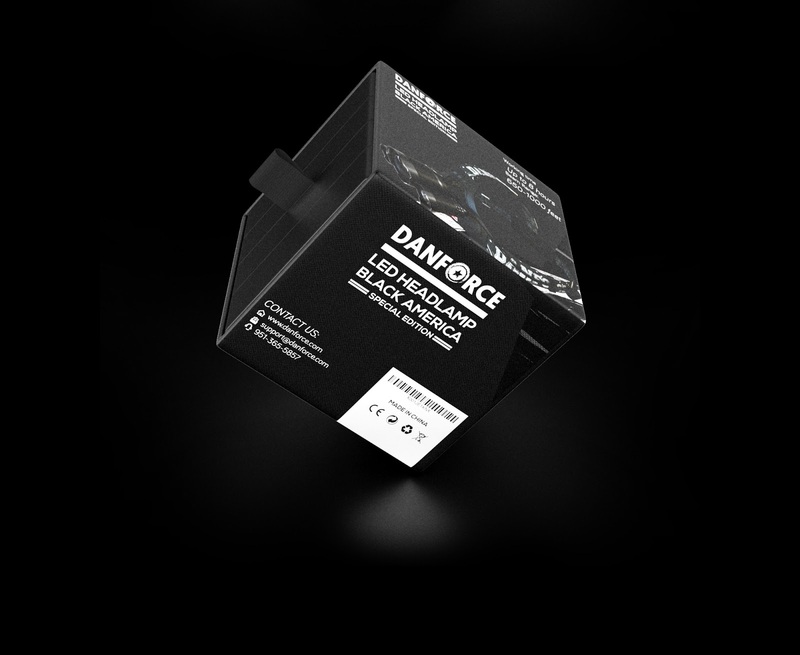 High end materials, offset printing and matte lamination value the packaging. 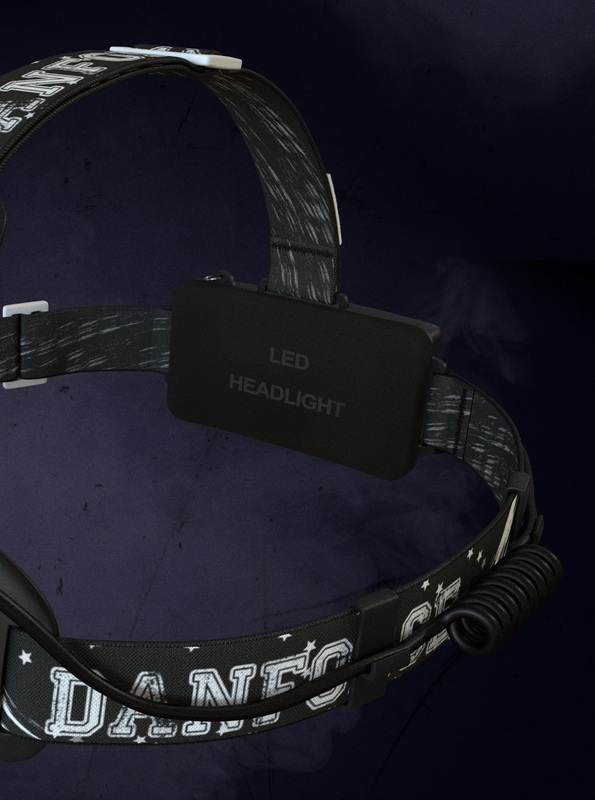 The sled shape with fabric knob, the dark theme and the photorealistic product rendering with a awesome look gives a premium appearance to the packaging while maintaining coherence with product quality.